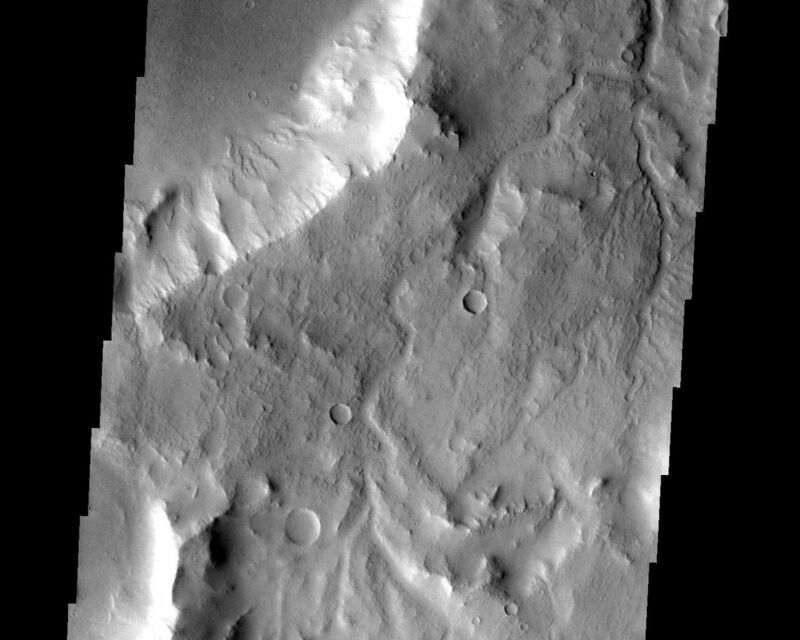 The many small channels dissecting the top part of this image are drainage valleys. 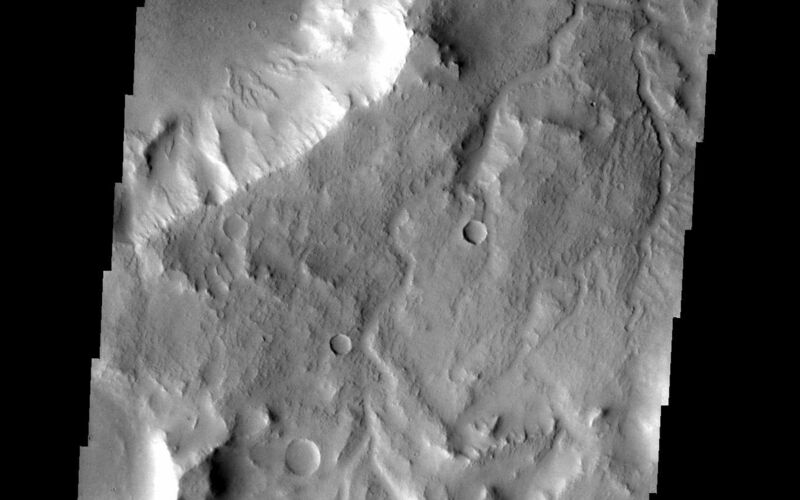 Most are draining downhill to the top [north] of the image. Image information: VIS instrument. Latitude -1.6N, Longitude 301.1E. 18 meter/pixel resolution.